As I've been working an 8 to 5 job now I haven't had as much time to devote towards taking pictures and studying the yard. So these are photos from a week or two ago. What's happening out there now is kind of exaggerated. Tapinoma sessile seems to be a notorious nectar thief. 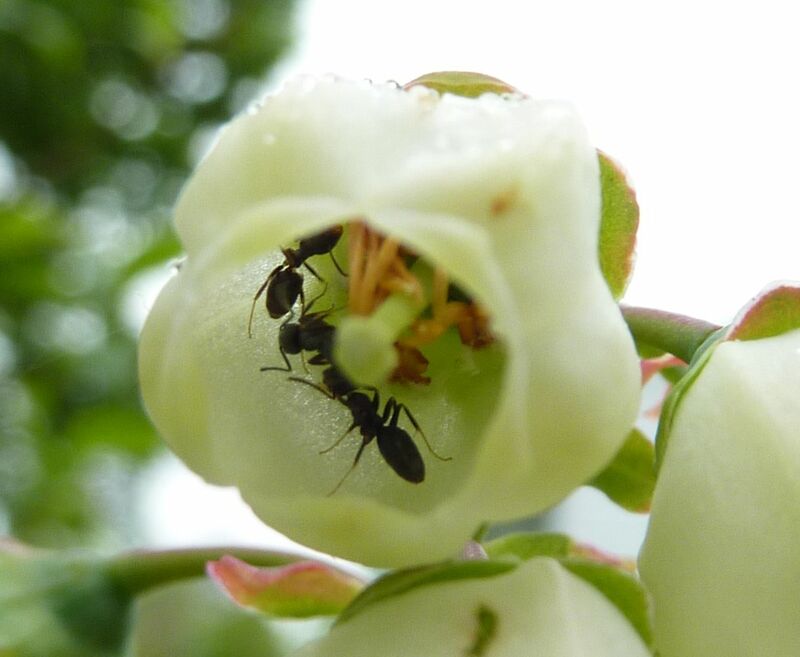 Here a blueberry flower is being raided from the inside. The bell shape of the flower is to deter robbing from short tonged bees. This theme of ants robbing flowers can be noticed year round but in the spring time is when it seems to take center stage. Aphids steal all the attention once they get going. 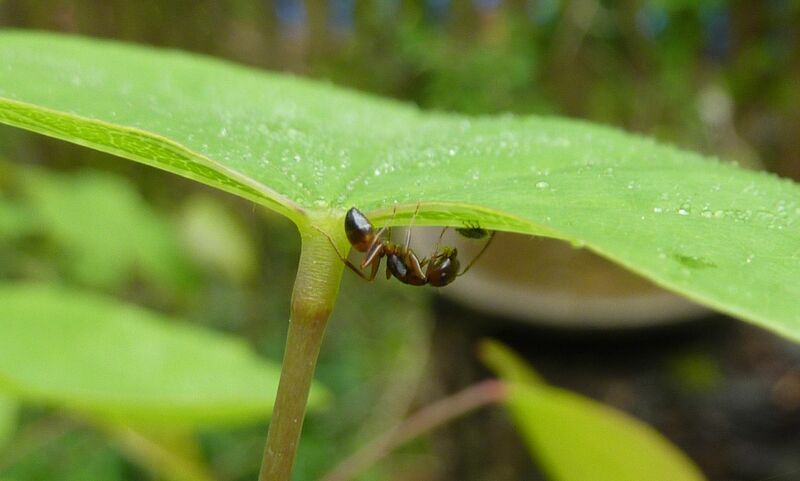 Here a Lasius alienus worker is tending some on this Redbud tree. The exchange of honey dew for some wondering protection is the trade off here. A Camponotus subbarbatus worker on the same tree does the same.